When it comes to catering and keeping up with the latest trends, there’s no rest for the weary. Just when you thought you had a handle on the latest trend – be it craft butter or Greek cuisine – along comes the next big thing and the cards are in the air. Now it’s time to prepare for the era of smoked food of all kinds. 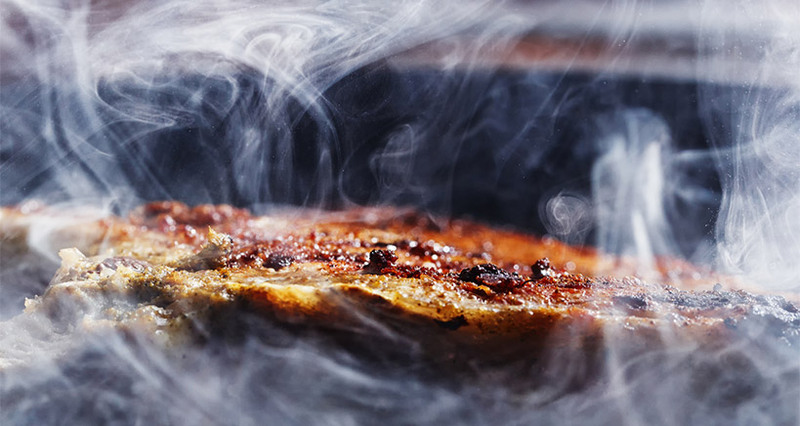 It’s hard to ignore the appeal of smoke-flavored foods; from the distinct taste to the pleasant and distinctive aroma, smoked foods are definitely rising in popularity. We spent some time in a recent blog discussing how you can incorporate barbecue into your catering menu, in particular Korean barbecue. But smoke is not just for brisket or other cuts of meat and, in fact, nearly any food or dish can be smoked. The Smoke restaurant in Dallas, Texas, serves a cedar-wood infused tequila cocktail and they are not alone – smoky cocktails are all the rage. All you need in order to cook up original and delicious smoked foods are some wood chips (such as hickory, maple, cherry, mesquite, etc. ), a grill or smoker, a variety of herbs and seasonings, and your own instinct, imagination, and creativity and voila, a smoked food is born. 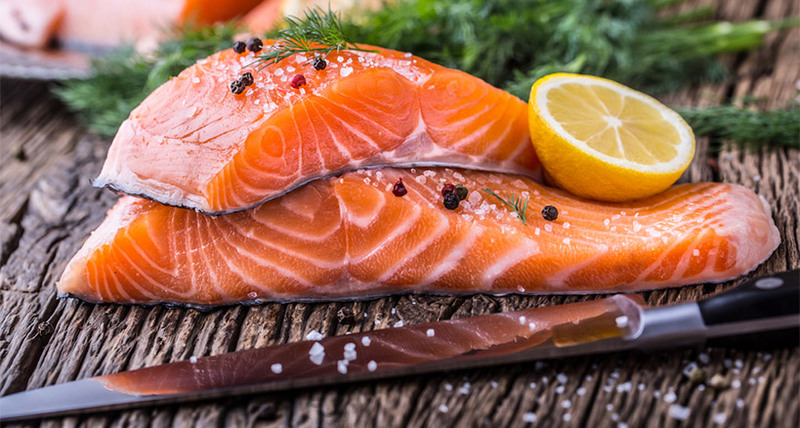 When it comes to foods that meet what are arguably the three most important criteria – taste, nutritional value, and ease of preparation – salmon heads the list. Salmon is delicious, it just about cooks itself, and it has more health benefits than we can keep track of. Salmon is also super-versatile – it can be baked, broiled, grilled, and poached, and with so little work on your part, it never fails to be delicious. Salmon is an outstanding and unusual fish; outstanding because it’s incredibly tasty, and unusual because both fish lovers and non-fish lovers tend to like it. It’s a fatty, succulent fish with plenty of heart-healthy omega-3 fatty acids, plus a big dose of protein, and an abundance of vitamins. It’s readily available all year round, and, even the most inexperienced (or lazy) cook can prepare it in no time. Salmon is the common name for fish in the order Salmoniformes. Salmon are “anadromous,” which means that most types of this fish are born in fresh water, migrate to the salt water of the open sea, and then return to fresh water to reproduce, or “spawn.” After living for years at sea, salmon travel a long-distance home to return to the river in which they were born in order to spawn. After spawning, all Pacific salmon, and about half of the other species, die within a few weeks. The salmon that do not die can spawn two or three more times. Poke Bowls, Originally from Hawaii, Are a Big Hit in the Rest of the U.S. 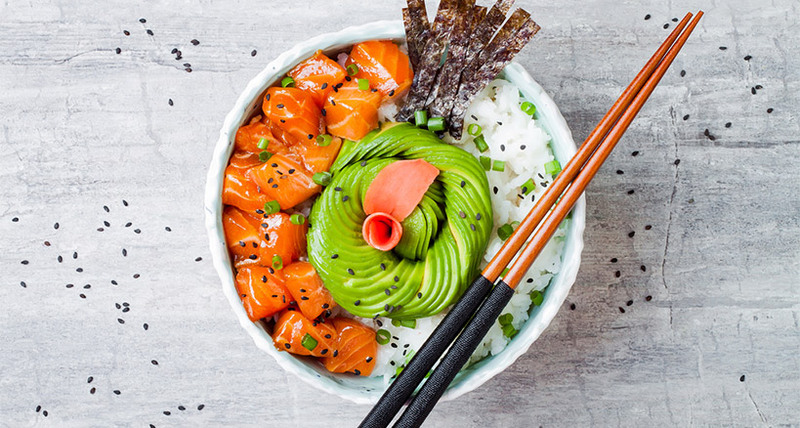 Although in Hawaii, the poke bowl is as integral to the national cuisine as pasta is in Italy or sushi is in Japan, in the rest of the United States it’s a trend that, while new a few years ago, seems here to stay. Poke is chopped raw fish that is usually seasoned with soy sauce and sesame oil, and served over warm or hot rice, and it’s a staple in the food culture of Hawaii, where it can be found everywhere from supermarkets to take-out joints. For those in the “lower 48” who are just discovering poke bowls now, it’s not a moment too soon. If you take the elements of sushi – raw fish, rice, vegetables, seaweed, sesame oil, etc. – and put them together in a bowl (and not in a roll), you’d be looking at a poke bowl, a tradition that dates back centuries in Hawaii. Poke is pronounced poh-kay, and the word means “to cut.” The fish in a poke bowl – ahi tuna or salmon, for instance – is marinated, chopped, and dished out over hot rice. The rice-fish combination is then seasoned with a variety of sauces, such as rice vinegar, soy sauce, spicy mayo and other, more-exotic options like ponzu sauce (more on this flavorful sauce later); vegetables, like chopped scallions or tomatoes can be added, along with sesame seeds or other seeds. Continue reading Poke Bowls, Originally from Hawaii, Are a Big Hit in the Rest of the U.S.
Posted on April 4, 2018 March 29, 2018 Author LionsdealCategories GuidesTags fish, food trends, poke, recipeLeave a comment on Poke Bowls, Originally from Hawaii, Are a Big Hit in the Rest of the U.S.